Radio is a tool for development and social change around the world. It’s widely accessible, relatively cheap and very simple to use. According to the United Nations, or UN, radio reaches 95 per cent of the world’s population. In sub-Saharan Africa, radio is the most important medium for communication, as millions of Africans tune-in to broadcasts every day for news, entertainment and music. 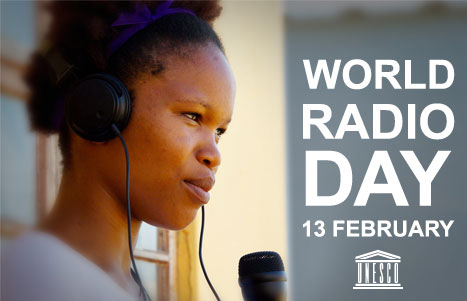 This year’s World Radio Day focuses on gender equality and will celebrate women in radio. During my career in community, public and even private radio, I’ve come to know and admire many women broadcasters. While working in media development across Africa, I’ve met with some exceptional ladies who’re transforming the media sector and leading the charge for gender equality in radio newsrooms. I’ve also had the benefit to meet and work with three great non-governmental organizations, or NGOs, that are working in sub-Saharan Africa to empower women broadcasters, of all ages, to make positive change through radio. Journalists for Human Rights, or JHR, Children’s Radio Foundation, or CRF, and Farm Radio International, or FRI. All three NGOs are transforming the sector by putting emphasis on the fact that only 37 per cent of radio stories are reported by women. But this is all changing. CNN Chief International Correspondent Christiane Amanpour said: “I see more and more women in the field as journalists…And what I see is that it’s making a big change in the way stories are covered.” This is true, however there’s still a challenge of getting stories on the radio which highlight gender inequality, as only 24 per cent of people questioned, seen or heard in the media are women. It’s a monumental task to change the way the media operates when only one in five experts interviewed on radio, television and in newspapers are women. It’s time to correct this gender imbalance and give women reporters and hosts more airtime. An important way to accomplish this is to have more women in senior positions at media houses. Since radio is the medium which reaches the most people worldwide, it’s time to give everyone an equal voice! *statistics taken from UNESCO Gender Equality in Radio infographic.